The Dell Inspiron 15 7559 is a good choice if you are looking for a high-end portable workstation that also allows some amount of casual gaming and 4K is a necessity. If you are in search of a serious gaming machine, you will have to look further into more expensive but top-performing gaming laptops like the Acer Predator 15 or the slightly cheaper ASUS ROG G501 that boasts similar specifications. Dell’s Inspiron 7000 series laptops have always been the company’s mainstream laptops featuring high-end specifications in a premium brushed metal aluminum chassis. But this time, instead of adding an Alienware variant, Dell decided to launch its new gaming laptop within the existing Inspiron 15 series itself. The Dell Inspiron 15 7559 comes in a plastic shell with soft, matte rubber finish over it to do away from the cheap plastic feel. 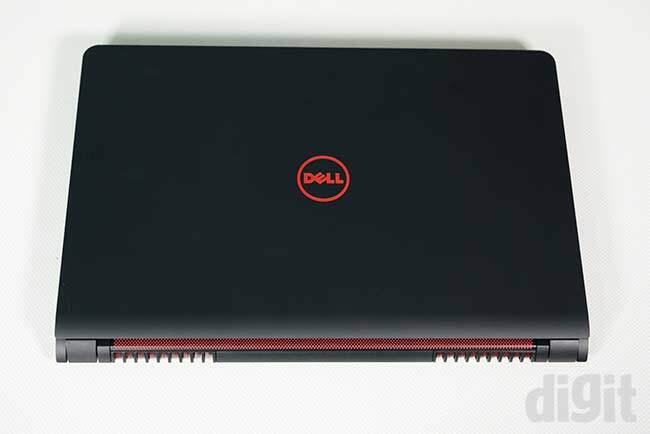 Dell has also made use of red accents on the logo, vents, speaker grills and trackpad to add to the laptop’s gaming feel. Overall, the entire design is pretty sleek, unlike its bulky competitors. You can open the laptop just by holding the screen from the edge and you wouldn’t need to hold the bottom owing to its extremely sturdy hinge and the slim display panel. Weighing at 2.7kg, this isn’t lightweight but it isn’t as bulky as the other high-end gaming laptops too. The slim display panel also brings in the factor that it is quite fragile and wobbly that can be bent with some force. The screen is a glossy one. Other than these concerns, the 15-inch 4K UHD LED-backlit display on the Dell Inspiron 15 7559 is very good. We missed Dell’s InfinityEdge display we saw on the Dell Precision 5510 but Dell made sure that there was no compromise made in the colour reproduction or contrast levels. Pictures were bright and crisp along with precise touch recognition. When it comes to connectivity and ports, it has all the bells and whistles. 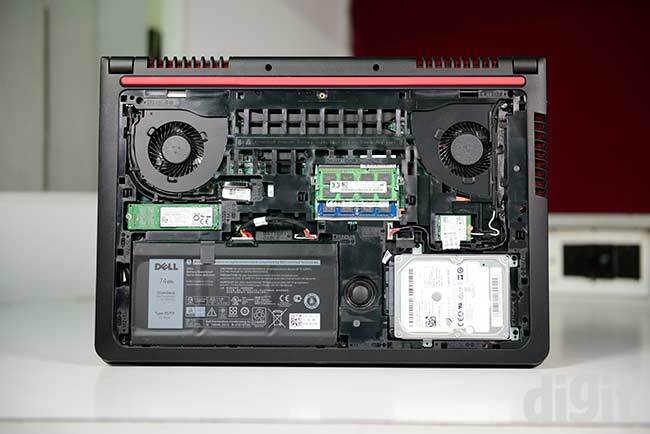 Under the hood, our review unit sported an Intel Core i7-6700 HQ along with 16GB RAM and a 128GB M.2 SSD in addition to 1TB 5400 RPM Hard Disk Drive. Along with a beefy processor, the 7559 laptop also features a NVIDIA GeForce GTX 960M with 4GB GDDR5 VRAM for your gaming requirements, putting it right in the battle of other beefy gaming laptops. In our graphic benchmarks, the 7559 scored fairly and lacked way behind the leaders of the table. Speaking of Unigine Valley, the 7559 scored 1383 (at 1080p) whereas the chart topper Acer Predator 15 scored 2241 and MSI GE62 6QD at 1937. However, if you are a casual gamer and looking for playing a few not-so-demanding games on this one, you’d be safe even at 4K resolution. The laptop has three vents to keep the temperatures under control. An hour’s of CS:GO at 4K bumped the laptop’s temperature up to just 76 degrees C pushing the dual cooling fans into overdrive. The island style backlit chiclet keyboard is average with just adequate feedback and key travel. The keyboard also tends to dent in the center but nothing to spoil your typing experience. The trackpad comes with a glossy finish along with a red outline and is quite precise. The left and the right click buttons are integrated and they performed well. 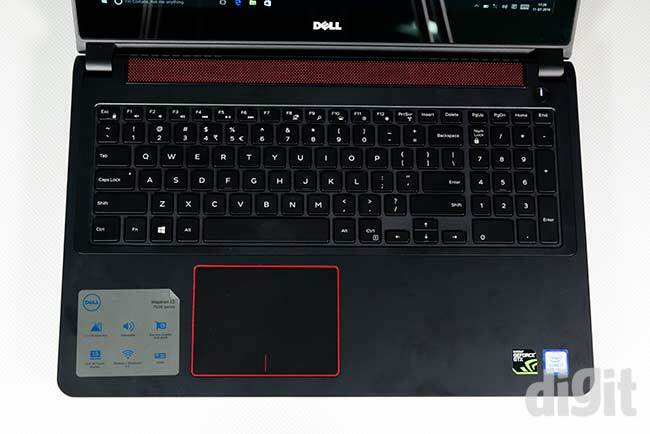 In terms of audio, the laptop comes with two speakers covered with a red grill above the keyboard and a subwoofer placed on the bottom. The sound is clear and distortion free but the subwoofer fails to make any noticeable addition to the overall output. The Dell Inspiron 15 7559 comes with a WaveMaxx Pro Audio software that allows you to customise the output by manual control. One of the features that we absolutely loved in this laptop is it being maintenance friendly. The internals of the laptop can be accessed just by opening the bottom held by a single screw. In our extreme battery performance tests, the laptop survived for just under 3 hours under high performance which is average, nothing great. Dell Inspiron 14z, Dell Inspiron 14 7000, Dell Inspiron 15 7000 or HP Envy TouchSmart 15? dell inspiron 15 5558 vs hp pavilion 15 ab032tx?